I'm forever amazed at how some blog posts take off and become viral whereas others that I thought would be popular did less well than I expected. 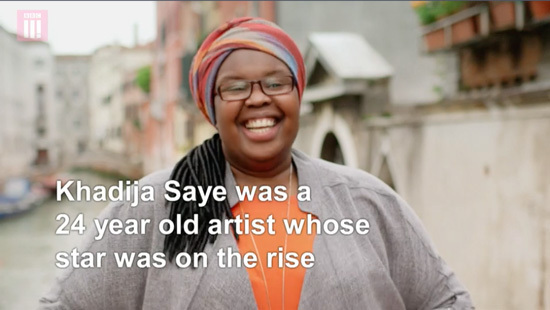 her death will be forever remembered and associated with 2017 - the Grenfell Tower fire in which she died. 2. NOT selected by an art competition or open exhibition? - I'm not surprised this comes near the top. It's a perennial favourite - and now listed in my side column as well. Interestingly I've been asked for and provided written advice to artists in 2017 regarding suitability of their artwork for different competitions. 3. RA Summer Exhibition 2017 - Call For Entries - a perennial favourite - and I've already got the blog post re. 2018 in draft! Keep your eyes peeled for when I post it on Facebook, or - even better - sign up to get an email every time this blog publishes a post. the painting which won is in acrylic on canvas board and is actually eligible for acceptance into the annual exhibition of the Royal Institute of Oil Painters! I have rarely felt so disappointed in the conduct of a panel of judges. I'm left wondering when are we ever going to discover the next Leslie Worth if we give this prestigious competition over to people who paint with acrylic on canvas not paper so it looks like an oil painting? this competition aims to celebrate and reward excellence and originality in the genre of watercolour painting. 218 paintings (8.4%) of the original entries made it through to the final judging session at Trinity Buoy Wharf. The judges then reduced this number to their selection of the final 53 for the exhibition (representing 2% of the total number of entries). 7. 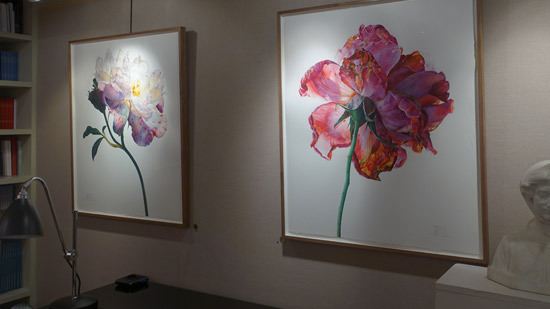 Watercolour paintings of flowers sell well - This was a post I'd been meaning to write for ages. Worth repeating why I wrote it - especially to those women who paint flowers but somehow think that watercolour competitions and watercolour art societies wouldn't be interested in what they produce. This is a problem with issues on both the supply and demand sides - and in my opinion, both need to think a bit more about what the public like to see and buy! 8. Training the Eye - Teaching to Look - This was about hugely informative and stimulating video I came across - about how to get artists to really look. One of those which is ALWAYS worth watching again. 9. 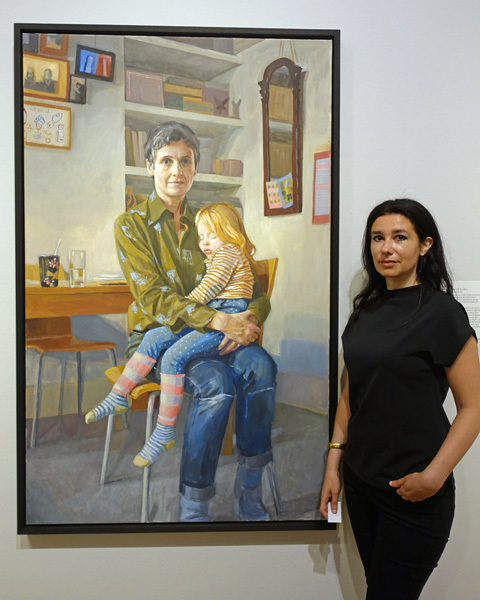 BP Portrait Award 2017: Artists with their paintings - One of the things I enjoy doing most is publishing posts on this blog of the artists who got selected - even if they didn't win a prize. That's because just getting selected is an honour and something to be celebrated! 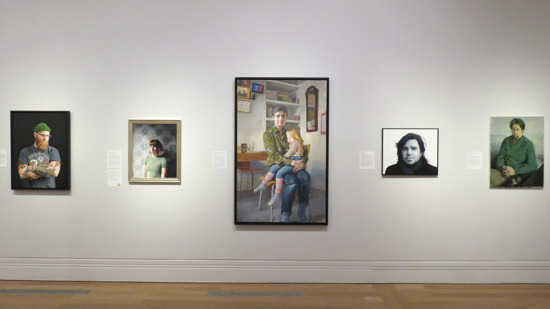 This post highlights some of the artists who got selected for the BP - including three of those whose art is shown on the wall of the National Portrait Gallery above. 10. 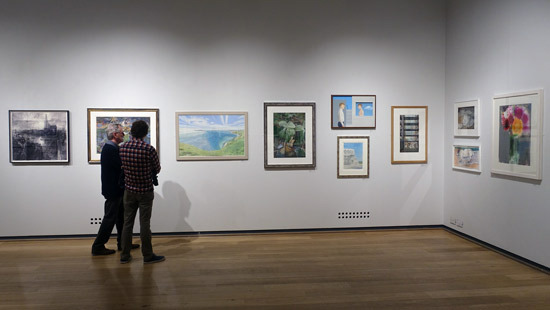 Sunday Times Watercolour Competition 2017 - Selected Artists - This post includes the names of the 78 artists whose 87 paintings and sketchbooks in watercolour media were exhibited in the 30th Exhibition at the Mall Galleries between 19 - 24 September 201 2017. Links to their websites are embedded in their names - why not take a look at the work of artists selected for this exhibition in 2017? 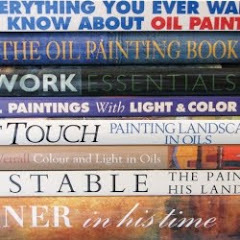 Eligible media includes any water-based media, which includes acrylic, inks and gouache (note it does NOT state that watersoluble oil paint is acceptable!). My own feeling is that it should also state that all works should be on paper - but it doesn't. 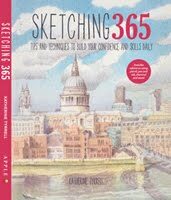 It would also be nice if the rules made it clear that sketchbooks are also eligible for submission. I also provide good coverage of the annual exhibitions of the national art societies on this blog. It's worth noting that none of the national art societies generated the same level of interest or traffic as some of the art competitions. This year I've also been monitoring the ratio of members to work from the open entry selected for the open exhibitions - with a round-up post for 2017 still to come. how to improve their communication and marketing of both the call for entries of their open exhibition opportunity and the exhibition itself so as to improve both the quantity and quality of the artwork - and the sustainability of the society over time. 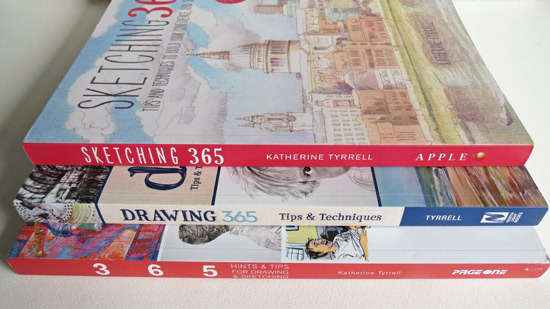 In 2017 I reverted to publishing Calls for Entries for the open art exhibitions of the National Art Societies - as well as the major art competitions. This will continue in 2018 and I'm also going to continue monitoring the percentage of the annual open exhibitions. I should preface the listing of these posts by saying I get emails from Sky about their programmes BUT I don't subscribe to Sky and consequently can't see their programmes. I suspect the same applies to rather a lot of those who read my blog. Posted by Making A Mark on Sunday, December 31, 2017 0 comments Who's linking to this post? Posted by Making A Mark on Saturday, December 30, 2017 1 comments Who's linking to this post? Francis Bacon was on BBC4 last night (again). You may have missed him the first time - but you can catch up. I found it fascinating and it explained for me a number of the conundrums about him. 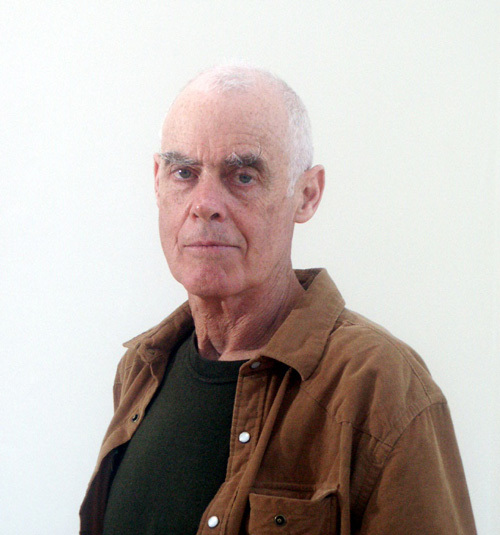 The links below provide access to the programme and an insight to both the programme, his website, his life and his studio. 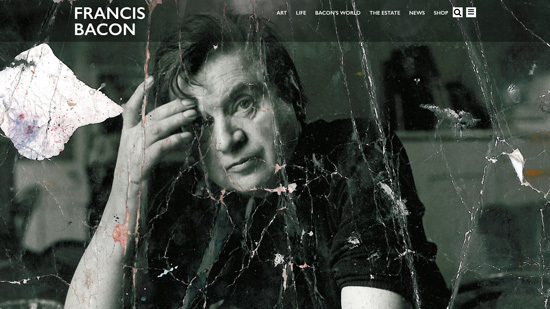 Francis Bacon was the loudest, rudest, drunkest, most sought-after British artist of the 20th century. Twenty-five years after his death, his canvases regularly exceed £40million at auction. Bacon's appeal is rooted in his notoriety - a candid image he presented of himself as Roaring Boy, Lord of Misrule and Conveyor of Artistic Violence. This was true enough, but only part of the truth. He carefully cultivated the facade, protecting the complex and haunted man behind the myth. In this unique, compelling film, those who knew him speak freely, some for the first time, to reveal the many mysteries of Francis Bacon. the Hugh Lane Gallery in Ireland which relocated and now houses Francis Bacon's Studio - which now provides an amazing resource about both his life and work. 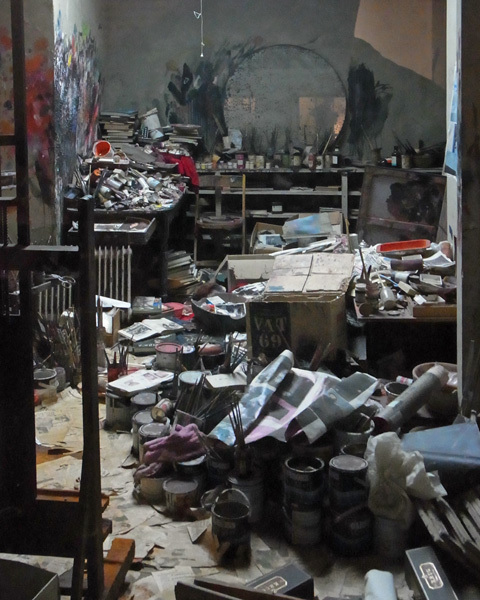 Over seventy works on paper were found in Bacon's Reece Mews studio and these are now in the collection of the Hugh Lane Gallery. They are among the most important discoveries of the project. In all the interviews Bacon gave from around 1962 onwards, he denied that he made any preparatory drawings before he started to paint. Some of his close friends knew that he produced drawings and even owned some of these works, but they followed Bacon's wish to keep them out of the public domain. Posted by Making A Mark on Friday, December 29, 2017 1 comments Who's linking to this post? on my blog and/or on Facebook. Wishing you and yours a happy day today and all the very best for the New Year. 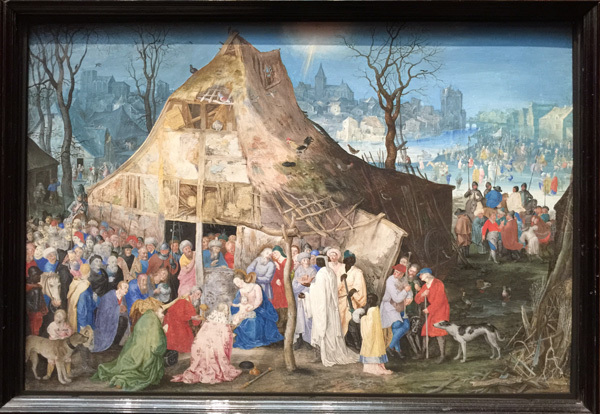 This is one of those paintings which is yet another perspective on a very old story and comes complete with wonderful draughtsmanship and painting and a wealth of detail. PS You can see the original photo on my Facebook Page with a couple of other great paintings of winter. Thank you to the National Gallery and all other galleries which allow us to photograph paintings. I'm now having a little break and will be back in the New Year. Posted by Making A Mark on Monday, December 25, 2017 1 comments Who's linking to this post? This is a list of some of the Art Exhibitions in London which can be seen in the major Art Galleries and Museums over the Festive Season (December 2017 - January 2018). Click the link in the title of the exhibition to find out more details. 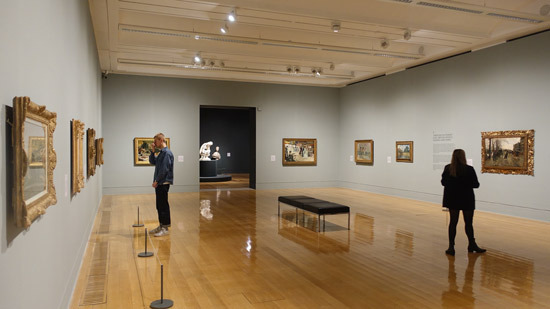 Earlier this year, the statistics reported an overall drop in visits to museums - and the problem with that is if visitor numbers drop then so will the funding in due course. We certainly can't take museums and art galleries for granted - especially during times of funding constraints. The BP exhibition: Scythians warriors of ancient Siberia 14 September 2017 – 14 January 2018 - This major exhibition explores the story of the Scythians – nomadic tribes and masters of mounted warfare, who flourished between 900 and 200 BC. Living with gods: peoples, places and worlds beyond 2 November 2017 – 8 April 2018 - By looking at how people believe through everyday objects of faith, this exhibition provides a perspective on what makes "believing" a vital part of human behaviour. The business of prints - 21 September 2017 – 28 January 2018 (Room 90) - focuses on some of the complexities of the process, the varied nature of the prints themselves, and the ways in which buyers used or collected them. A physician's cabinet: Sir Hans Sloane’s practices of collecting and cataloguing Until 11 January 2018 - This small display brings together an array of prints, drawings and objects, all related to medicine, that were collected by the founder of the British Museum, Sir Hans Sloane (1660–1753). 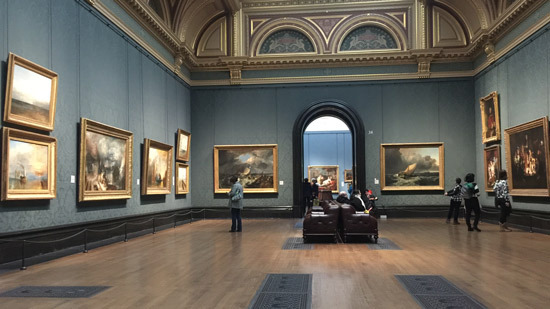 You can see over 2,300 masterpieces for FREE. Drawn in Colour: Degas from the Burrell 20 September – 7 May 2018 (Ground Floor Galleries) - The Burrell Collection holds one of the greatest collections of Degas’s works in the world. Rarely seen in public, this exhibition marks the first time the group of 20 pastels has been shown outside of Scotland, since they were acquired. Based in an ex Power Station next to the Thames, this is the single most popular dedicated contemporary Art Gallery in the UK. 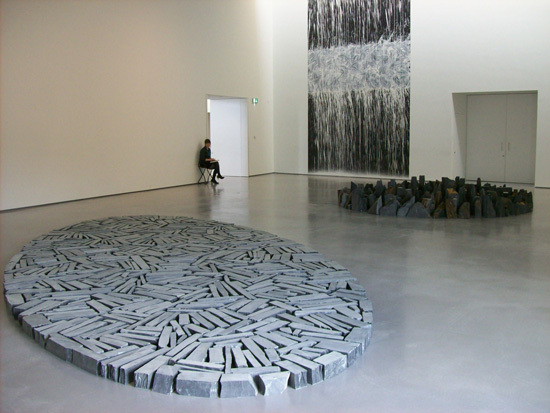 It focuses on international contemporary and modern art post 1900. Swing! invites us to realise this potential together. Swinging as three, our collective energy resists gravity and challenges the laws of nature. 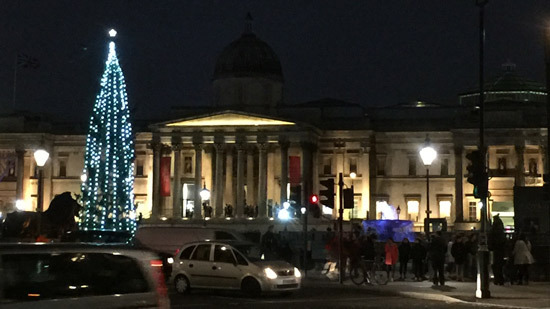 Home for Christmas - a commission for Tate Britain by Alan Kane - Until 6 Jan 2018 - this is a different sort of exhibition - and very Christmassy! Impressionists in London - a marketing own goal by Tate Britain! The V&A is staging a month-long musical celebration of Christmas across its South Kensington and V&A Museum of Childhood (in Bethnal Green) sites. The festive period will be celebrated through music from opera to Christmas number ones - but most of this has already happened. Winnie the Pooh - Exploring a Classic - Until 8 April 2018 - Winnie-the-Pooh is one of the best-loved and most successful children’s characters of all time. 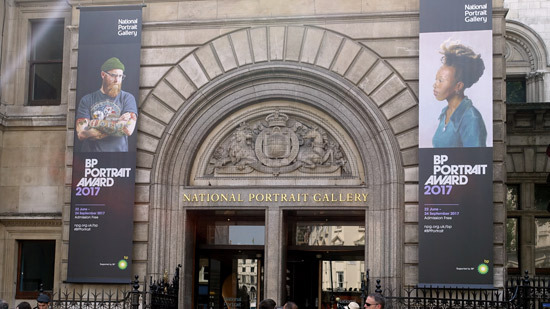 The National Portrait Gallery is completely dedicated to portraiture and holds the most extensive collection of portraits in the world. 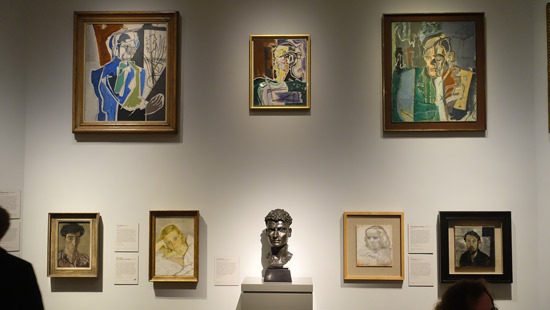 Cézanne Portraits - 26 October 2017 - 11 February 2018 (Wolfson and Lerner Galleries) - Brings together for the first time over 50 of Cézanne’s portraits from collections across the world - see my blog post Review - Cezanne Portraits at the National Portrait Gallery. From Life - 11 December 2017 - 11 March 2018 - this exhibition takes a look at the tradition of drawing from casts and life models and how this relates to the practice of artists today. Dalí / Duchamp - 7 October 2017 - 3 January 2018 - Salvador Dalí and Marcel Duchamp maintained a lasting bond of friendship and mutual admiration throughout their careers. This is the first exhibition to throw light on their surprising relationship and its influence on the work of both artists. Etching: The Infernal Method (Art Sales at the RA) - 15 September 2017 - 19 February 2018 - This selection of works for sale by Royal Academicians is curated by Norman Ackroyd. Invited artists celebrate the diversity of contemporary etching practice. Rose Wylie Quack Quack - 30 Nov 2017 to 11 Feb 2018 - (Serpentine Sackler Gallery - over the bridge) - This winter, the Serpentine is proud to present the works of acclaimed British artist Rose Wylie (born 1934, UK). I'm not a fan and I've never visited - but that's because I have an aversion to marketing which is too clever for its own good. Saatchi still hasn't managed to offload the running costs to the government via a capital 'gift'. Bricklive: The Ultimate Interactive Lego® Adventure - 25 November 2017 - 7 January 2018 - "the perfect trip out for the entire family. " Salon 003: Calder on Paper: 1960 - 1976 - 27 September 2017 - 7 January 2018 - A collection of earlier works on paper by Calder dating from 1939 - 1959 - simultaneously displayed at Omer Tiroche Gallery in Mayfair, Londonso that two separate time periods in his career, in two separate locations create a comprehensive retrospective. Soutine’s Portraits: Cooks, Waiters & Bellboys - 19 October 2017 – 21 January 2018 - Soutine was one of the leading painters in Paris in the 1920s and 1930s and was seen by many as the heir to Vincent van Gogh. This major exhibition is the first time he has been exhibited in the United Kingdom in 35 years. Drawing Together - 30 September 2017 – 2 January 2018 (The Drawings Gallery) - Drawing Together seeks to stimulate new insights by presenting unexpected pairings of drawings from The Courtauld Gallery’s collection and by living artists. These pairings reveal inevitable contrasts, but also highlight underlying similarities in the exploratory processes of artists across centuries. The Wallace Collection is an art collection in London open to the public in a square just north of Oxford Street and Bond Street tube. Exhibition: El Greco to Goya - Spanish Masterpieces from The Bowes Museum - 27 September 2017 - 07 January 2018 - the first London exhibition of Spanish art from The Bowes Museum in County Durham, including works by Goya and El Greco. https://www.kew.org/kew-gardens/attractions/shirley-sherwood-gallery | Royal Botanic Gardens at Kew. 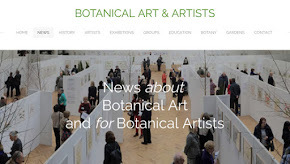 A gallery dedicated to the display of botanical art and artwork related to botanicals. Abundance: seeds, pods and autumn fruits - Until 11 March 2018 (except 24 or 25 December) - an exhibition of contemporary botanical artwork featuring fruit and plants from around the world. See my blog post Queuing to visit Shirley Sherwood Gallery of Botanical Art! Posted by Making A Mark on Thursday, December 21, 2017 0 comments Who's linking to this post? 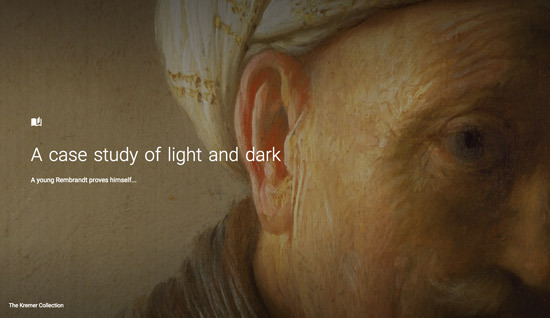 Google Art and Culture is currently displaying a very interesting case study in the portrayal of light and dark in a painting by Rembrandt. relative to the form and local colour of the subject. Do take a look - I know some with find it VERY educational. For others it's an excellent refresher of what we already know but maybe sometimes forget! PS You may have noticed I'm posting shorter posts borrowing from other sites. That's because it's Christmas and I have other "things to do"! :) Future posts will be similar and/or will display paintings of the season or Christmas. Posted by Making A Mark on Wednesday, December 20, 2017 1 comments Who's linking to this post? I posted a video about how a make a paint brush for artists to my Facebook Page and it's proved very popular. However I've now found the ORIGINAL video on the Science Channel - Making Artists' Paintbrushes Is An Art In And Of Itself! (3 minutes) - which was "rebranded" by a media channel! PLUS another video by Da Vinci about Da Vinci - Fine Art brushmaking (12 minues) This is a much more comprehensive video. You can see a bigger version of both videos on Facebook if you click the bottom right hand corner of the video and then open it in YouTube - but it's in HD which gives excellent definition in this size. Posted by Making A Mark on Tuesday, December 19, 2017 0 comments Who's linking to this post? 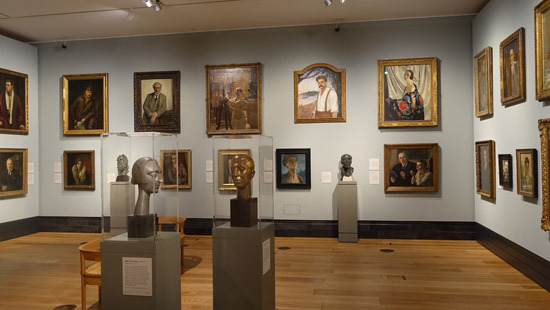 One of my favourite galleries at the National Portrait Gallery is the early 20th Century Gallery. It's about people who were mostly dead before I was born but whose names often cropped up in terms of culture (art / music / literature / drama) or the endeavours of the military, the statesmen and the social reformers. Thing is I'm not sure I like the rehang. Take a look at my photographs and I think a lot of you who are familiar with the Gallery will see what I mean. 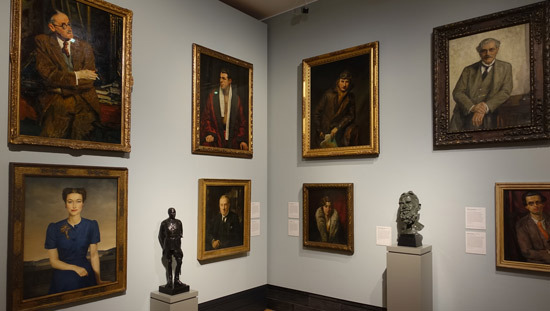 The creation of these new galleries has been made possible by a grant from the DCMS/ Wolfson Museums & Galleries Improvement Fund, and sees a number of recently acquired portraits go on public display for the first time. 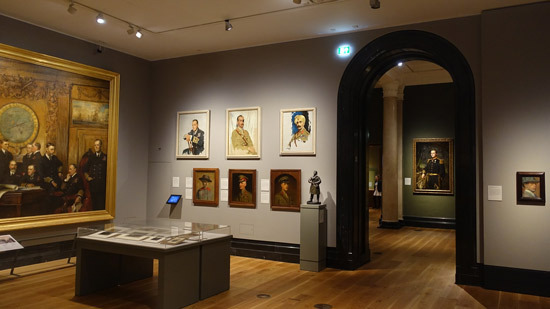 It now looks like a very old fashioned gallery whereas before I always thought of it as quite modern (just as the 20th century broke away from Victoriana) and a major relief from all the heavy duty traditional galleries in most of the rest of the National Portrait Gallery. To my mind there has been no attempt to make it seem in any way in tune with the design and decor of the period from 1900 up to 1960 - a time in which there were massive changes in the way things "looked". It also had light (i.e. windows) and ways of displaying the art which meant you saw the art but not the thing it was attached to. 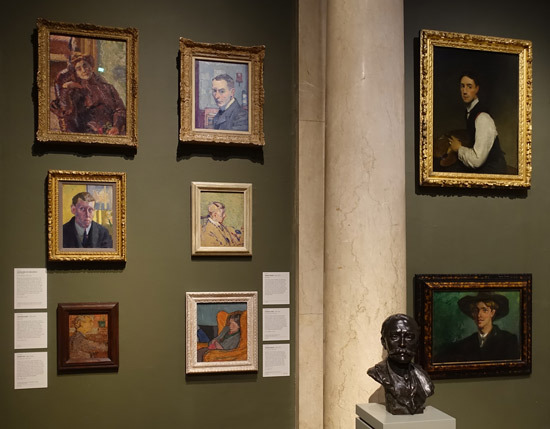 Now the windows have been blocked out to provide additional hanging space and everything is hung as if they are regimented "stuffed shirts" - which is precisely what I don't like about the way that many portraits are sometimes hung in portrait galleries. Plus it's got an overwhelmingly depressing feeling associated with far too much grey and brown. One area I do think they've improved is the military corner devoted to the "high ups" in the First World War. However pre 1950 Britain also included the Second World War and this is much less evident. Maybe nobody did the portraiture to compete with that completed for the First World War? 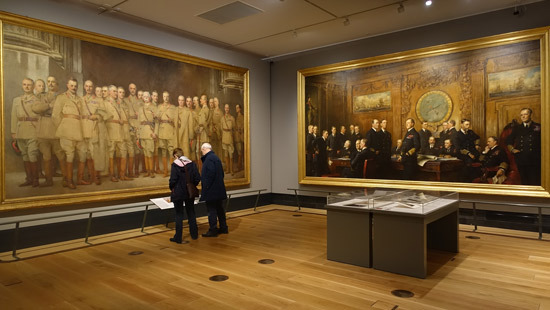 Three life-size First World War group portraits, considered the Gallery’s most important commission made shortly before the armistice on 11 November 1918, will also be reunited for the first time in decades. 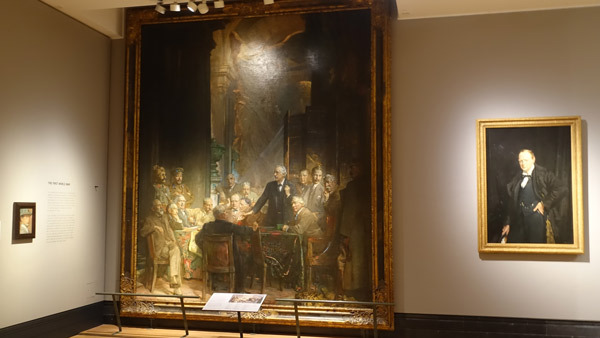 The recently restored, Naval Officers of World War 1 by Sir Arthur Stockdale Cope, will sit alongside its companion pieces, General Officers of World War 1 by John Singer Sargent and Statesmen of World War 1 by Sir James Guthrie in an entirely new room devoted to the First World War. 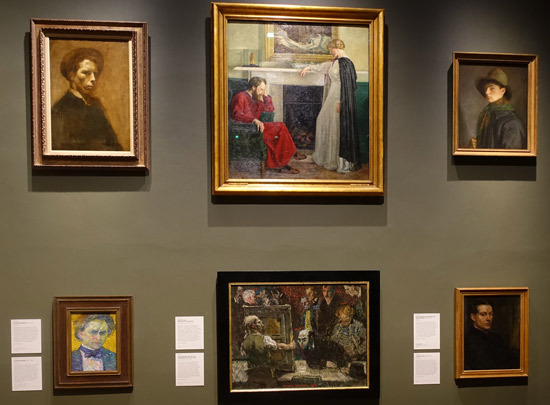 Split into four main periods: The early 20th century; The Great War; The interwar years and the Second World War and Post-War recovery, the portraits on display show individuals from various walks of life depicted at similar moments, in an era of radical and rapid change. I think the thing it made me realise was just how few portraits there are of quite significant periods of the last century - and how neglected certain aspects of the country have been. For example, where are all the manufacturers? What about the inventors (Barnes Wallis and John Logie Baird get a look in but as for others...? To me it comes across as a cultural elitist perspective of the cultural elite! ....and as for diversity - well there's plenty of well known members of the LGBT community - but you're not going to see many if any black faces. 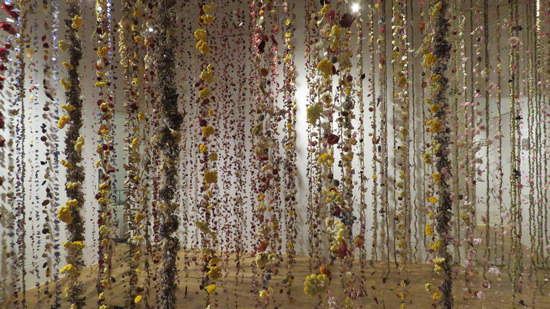 To me it feels like a hang which lacked a critical critique from those outside the curatorial community. Group about to have a lunchtime "talk"
I recommend you go and take a look for yourself and decide for yourself whether the new hang is an improvement. Posted by Making A Mark on Monday, December 18, 2017 3 comments Who's linking to this post? 'From Life' is a new exhibition at the Royal Academy of Arts which opened this week. It's about looking at what it means to different artists to make art from life. 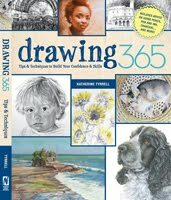 I've not yet seen it but will certainly be going to take a look as I'm a major advocate of the benefits to be had from drawing from life. The exhibition is on display in The Sackler Wing of Galleries and Tennant Gallery and runs until 11 March 2017. If coming toLondon over the Christmas Break note that the RA will be closed 24-26 December, and open only from 12-6pm on 1 January. Etching, aquatint and watercolour, published in Ackermann's 'Microcosm of London' 1 January 1808. The RA website does contain benefits for those who cannot get to see it just yet. For example it contains some interesting articles about working from life. In addition there is an extensive listing of events and some weekend practical courses associated with drawing the life model. 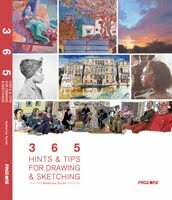 Five quick tips to improve your life-drawing By Mark Hampson - how to draw like a Master! Naked truth: the story of female life models at the RA By Amy Bluett - explores why women have always been in the minority at the RA and more likely to be on the pedestal being drawn than being the students doing the drawing. Early dates for events associated with the exhibition (eg Drawing: The Essentials) are predictably very nearly booked out already if it involves actual drawing! I have never ever been able to grasp why it seems to be completely beyond the imagination of the RA to put on a LOT more events of the same nature during an exhibition. If practical art events get booked out quickly it's because there is a demand for them! They could always try putting more on and contributing some funds to their massive development activities! 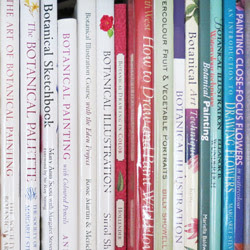 There is a second Drawing: The Essentials weekend course in February - and this will take place in the Life Room. I've drawn in the Life Room and it's an excellent place to get a good view of your model and terrible if you are used to drawing using an easel! although the website does not indicate this it appears that this might be booked out already. 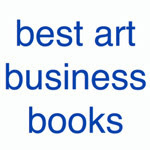 If it is booked out, you could try buying her excellent book Anatomy for the Artist (2001) - which I highly recommend. Or check out classes on anatomy which she delivers via the Ruskin School of Art in Oxford. 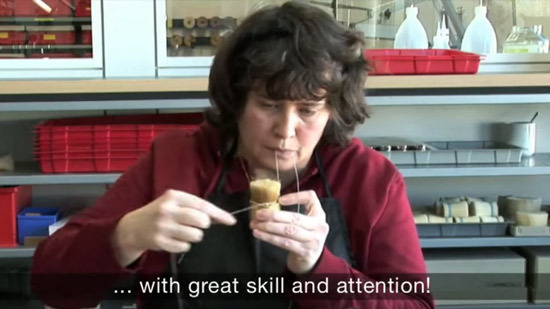 She is the Tutor in Anatomy at the Ruskin School of Art (BFA) and teaches Short Courses in Anatomy, Botany and Drawing on the Summer School Programme. A third weekend in mid-March has a rather long and slightly pretentious title - but sounds interesting. In the school of genius: an introduction to historical life drawing approaches is a Weekend-long practical course taught by Head of Fine Art Processes for the RA Schools, Mark Hampson. participants are offered a rare and exclusive opportunity to experience working in the RA Schools. Experience practical tuition intended to be a palpable historic echo of the RA’s creative and practical artistic methodologies. 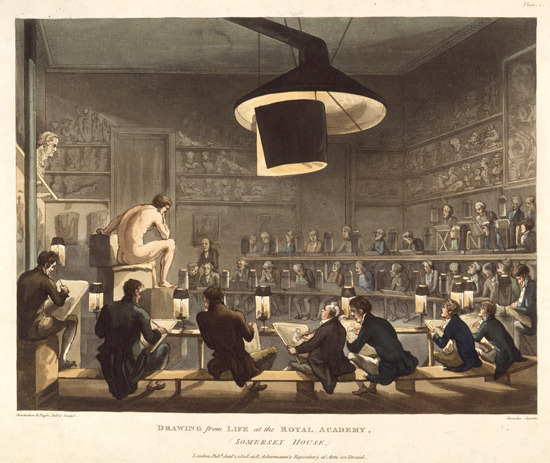 This will include introductions to working from the original antique classical cast, an insight into basic anatomy techniques, and drawing from both male and female life models in the atmospheric and historic setting of the Royal Academy life drawing room. 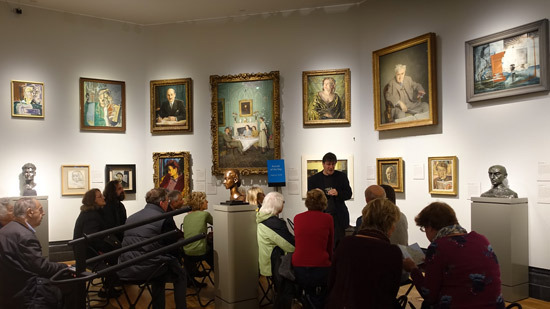 The course will also include a group visit to the From Life exhibition to view relevant works on display from the RA’s historic collection. In addition there are number of events and courses which targets those with disabilities. Posted by Making A Mark on Friday, December 15, 2017 0 comments Who's linking to this post? How do you get your art ranking in Google? That's what most artists want to know when they go online. These days most professional and many semi-professional artists operate online using a website and/or a blog. However this is only effective if people can find that website or blog when searching for you or the sort of art your produce. Many - but certainly not all - artists also know that to enable people to find their website they also need to has at least a passing acquaintance with SEO i.e. search engine optimisation. This is the legitimate process of making your site rank better in search engines. This is the first major update since 2010. Below I provide an overview of the content and what's different. The main difference is that due to the overlap between the previous Guide (a pdf file) and the Webmaster Academy advice which was online - the two guides to what to do re SEO have been MERGED! I'd recommend everybody take a look at the new guide and check out whether they are following all the recommended practices. This guide won't provide any secrets that'll automatically rank your site first in Google (sorry! ), but following the best practices outlined below will hopefully make it easier for search engines to crawl, index and understand your content. I always like those pages which explain what's different in this issue compared to previous versions. Unfortunately Google hasn't issued one! So I went looking to see whether anybody else had detected any differences between previous recommendations and this new presentation. The new guide MERGES the Webmaster Academy and the old SEO Starter Guide PDF (2010) into one resource section online. It can be found under "Search Console Help" - this is the service Google offers to help you monitor and maintain your site's presence in Google Search results. It has much fewer pics - and these tend to be monochrome - and some beginners may find it less friendly than the old 2010 document. The imperative for the update seems to have been MOBILE! sites used to have seperate mobile pages rather than using the responsive templates which most modern sites now use. The updated version builds on top of the previously available document, and has additional sections on the need for search engine optimization, adding structured data markup and building mobile-friendly websites. building mobile-friendly websites - see Make your site mobile-friendly which emphasise the best practices for creating mobile-friendly websites that can be accessed by all devices. 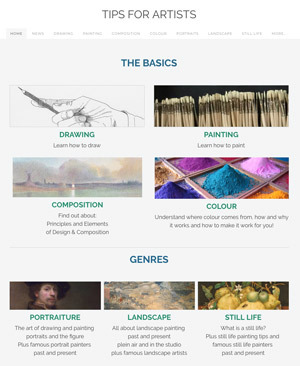 I've just checked the latter in relation to my existing advice in How to be mobile-friendly in the Websites for Artists section of my website Art Business Info for Artists - and I'll now be rechecking a load of links to make sure they're accurate and properly descriptive of the new places they're now being redirected to! A revamped SEO Starter Guide | Google Webmaster Central Blog - this is the OFFICIAL ANNOUNCEMENT. The two below essentially say "It's happened" and revise what the Google blog post says! I'm actually really surprised there hasn't been more analysis online by now. Google revamps its SEO Starter Guide | Search Engine Land - This is the first update of the SEO starter guide in several years. If you have queries please don't ask me! Rather try using the Google Webmaster Forum where you can connected with other webmasters and top contributors in the Google Webmaster Tools forum. Here also is the new Google Page for Get support for your site. Posted by Making A Mark on Thursday, December 14, 2017 0 comments Who's linking to this post? 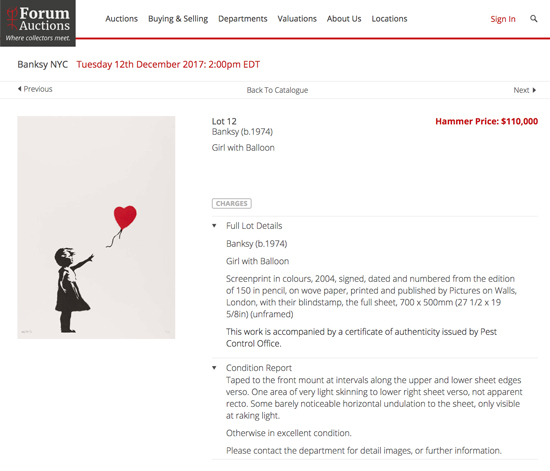 Yesterday Forum Auctions in New York auctioned 40 commercially produced prints and other artwork certified by Banksy’s authentication service Pest Control. This is how Street Art becomes commercially lucrative. By way of contrast his only editioned wood sculpture, Watchtower (2007) failed to reach reserve and was not sold. It's difficult not to reach the conclusion that the sale of works by Banksy has almost become predictable if not prosaic. A fresh sighting of Banksy? The topic going viral on Twitter related to whether or not he was photographed in Bethlehem next to what is apparently a brand new Banksy artwork which according to Hyperallergic features on his website - although I couldn't find it! ...and so - what will remain forever perennial and viral and newsworthy is the quest to identify Banksy's identity! Posted by Making A Mark on Wednesday, December 13, 2017 0 comments Who's linking to this post?